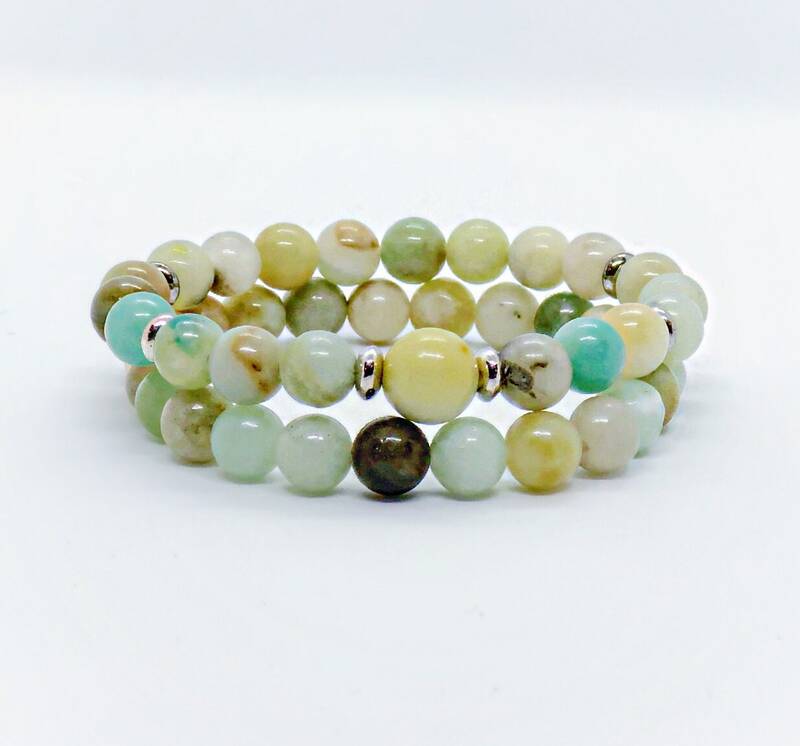 Amazonite crystal bracelets set. 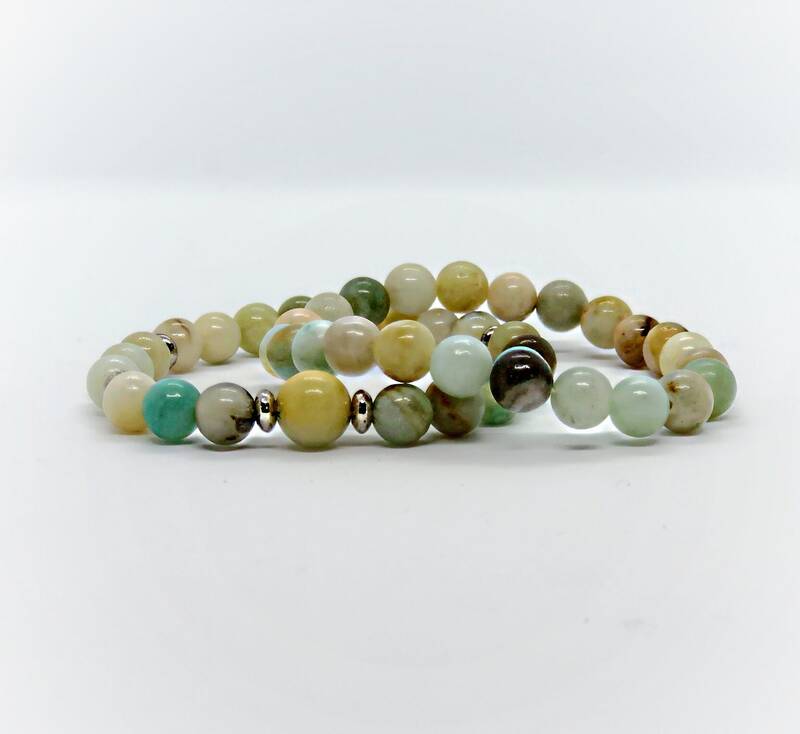 This is a two bracelet set made with genuine crystal beads on a heavy duty elastic. Fits a wide variety of sizes. 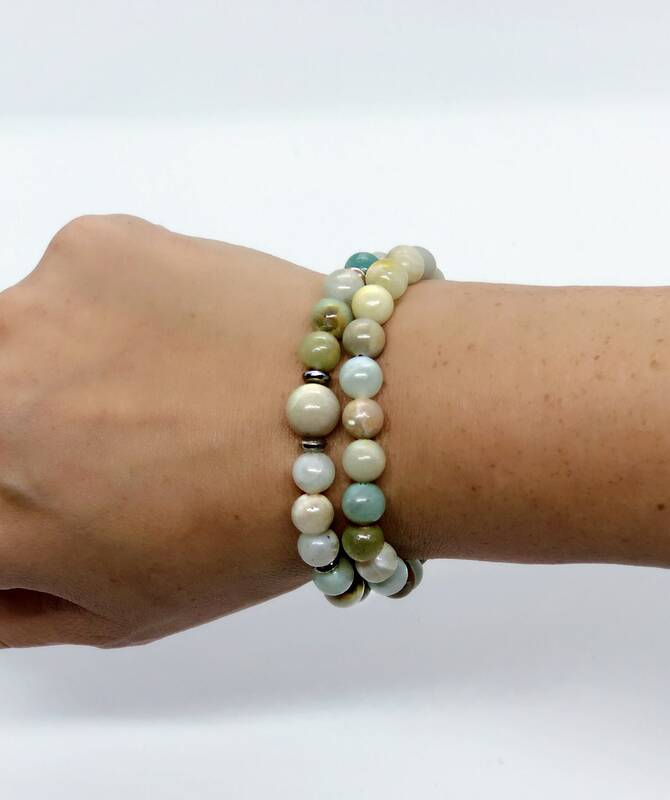 Shown in photo on a 6.5” wrist, can fit up to an 8” wrist comfortably. Made with 8mm beads. Hand made and sage blessed.